You’d think by the third child I’d be a potty training expert, wouldn’t you? Sadly, I am as much of a novice as I was first time round. Children are just so different in how they approach things, and now of course I have a lot less time. A couple of weekends ago we decided to just go for it, but then both kept forgetting H wasn’t wearing a nappy, so sitting on the potty every 30 minutes just didn’t happen. We ended up with lots of accidents and a little girl who wanted to wear a nappy again. This week we had a rare morning at home, so I put H in pants again, 30 minutes later her and S were running around the house shouting ‘I am a potty head’. I give up, for now at least. It was clean, in case you were wondering. 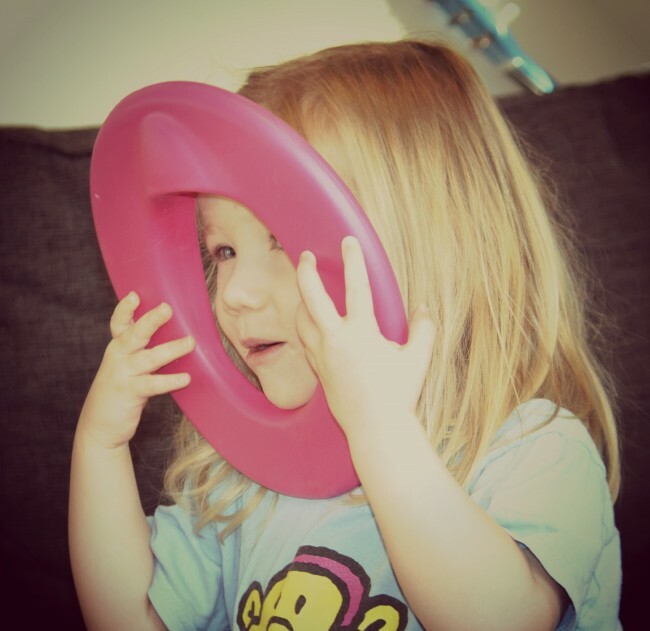 We’re just trying to get our 2 year old boy to use a potty at the moment – nightmare!!! I put Erin to bed the other night forgetting to put a nappy on – what a disaster! Emma recently posted..My new camera! We’ve done that as well…. I have a similar picture of Seren- deciding it suited as a hat! I’m not sure she’s taking this potty training seriously! One picture to bring out when she’s older.